Now we're going to apply a different color to each sphere. To do that, we must first change the shader. 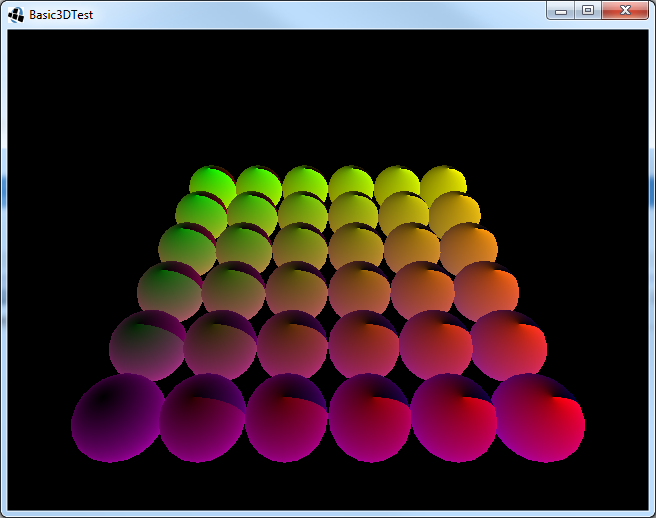 As we've seen previously the shader consists of a CPU part (the TestShader.java file) and a GPU part. That GPU part is made up of code that's run for each vertex (test.vertex.glsl) and code that's run for each fragment (test.fragment.glsl). So, the userData value can be used to pass data down to the shader. But if you have multiple uniforms this can get really messy and if you use multiple shaders, it will be even a more pain to keep track of the uniform values. We need a better way to set the uniform values at the model instance. Global: these are all values you can set in the shader's begin method. They are the same for all renderables and never changed between the begin() and end() call. For example the u_projTrans is a global uniform. Environmental: these are all values which aren't global, but also not directly related to the ModelInstance. Most commonly these depend on the location of the ModelInstance within the scene. For example the lights that are applied (renderable.lights) are typical environmental values. Specific: these are all values which are specific to the ModelInstance (NodePart). Independent of the scene or location within the scene, these values should always be applied. For example the u_worldTrans and u_color are specific values. Here, the term specific refers to values specific to the part of the ModelInstance, you could also refer to them as local or model values. Note that not only uniforms are included in those groups. For example the vertex attributes are values always specific for the renderable (MeshPart). The depth test and cull face values of the render context, like we set in the begin() method of our shader, are global values for the shader. All these settings and values together define the context in which the GLSL is run. When creating a Shader (the CPU part), you should always keep in mind which value belongs to which group and how often you expect them to be changed. For example a ShadowMap texture can be a global value or environmental value, but it's unlikely to be a specific value. For this tutorial we will only look at the specific values, like the u_color uniform above. This is where materials come in. Note that while the material must never be null, the material itself can be empty. Here we create a new ColorAttribute of type ColorAttribute.Diffuse with a color depending on the place on the grid. Next we add the color to the first (and only) material of the instance. Note that the method is called set (and not add), because it will override any existing attribute with the same type. 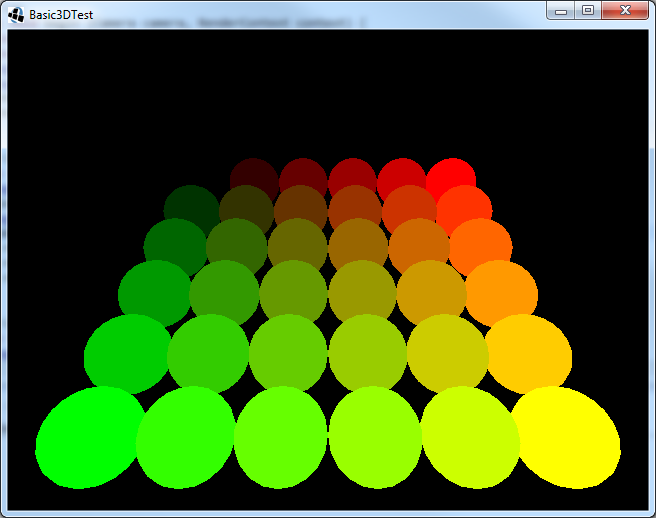 Here we fetch material attribute of type ColorAttribute.Diffuse, cast it to ColorAttribute and fetch it's color value. Next that color value is used to set the u_color uniform. If you run this code, you will see it renders exactly the same as before. But now we use material instead of userData. 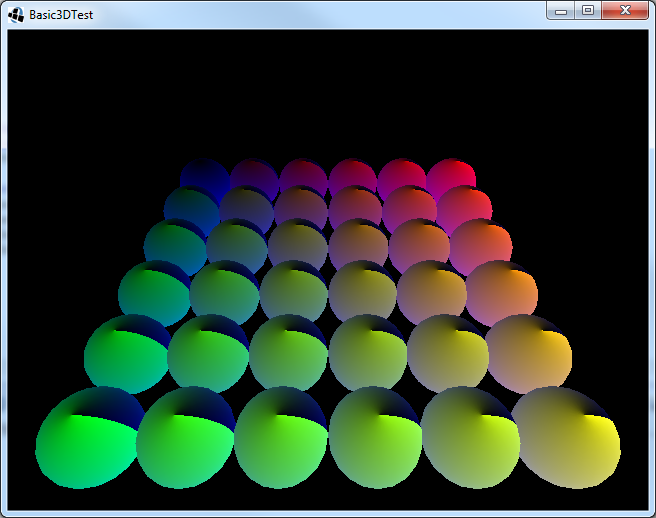 Now the shader will only be used if the material contains a ColorAttribute.Diffuse attribute. 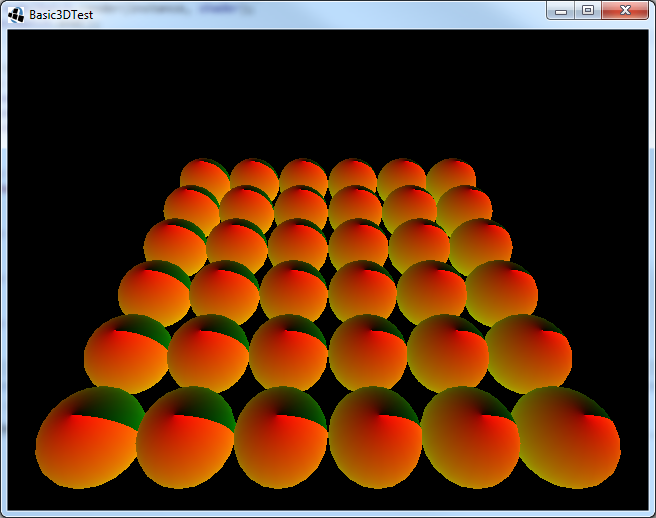 Otherwise ModelBatch will fall back to the default shader. We fetch the uniform location of both u_colorU and u_colorV uniforms. 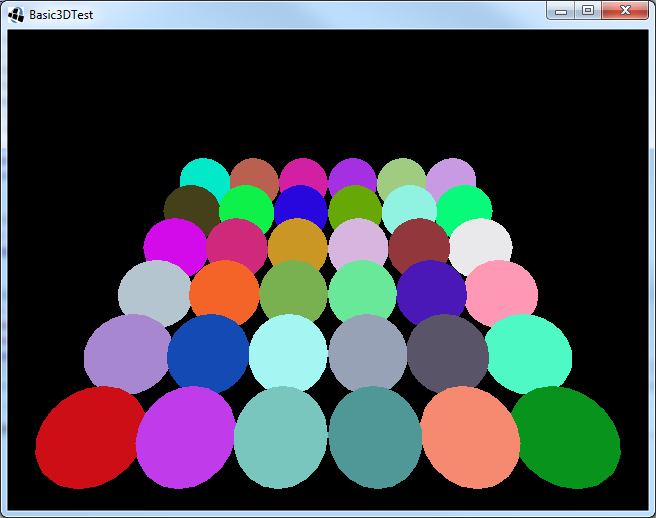 Then we set u_colorU to the color of the diffuse color attribute. And we set u_colorV to Color.BLUE. Since this is such a small class, I didn't create a new java file, but instead created a static subclass of TestShader. The class extends ColorAttribute, because that's the type of attribute we need to register. Within that class we have a few public final static members. The first is DiffuseUAlias, which is the name of the attribute type we're going to define. This value e.g. is returned when calling attribute.toString(). On the next line we register that name as an attribute type. The register method returns the type value (which is globally unique) and we use that to initialize the DiffuseU value. This allows us to use the TestColorAttribute.DiffuseU as attribute type, just like the ColorAttribute.Diffuse value. Next we do the same for DiffuseVAlias and register is a the type DiffuseV. We now have registered two new material attributes DiffuseU and DiffuseV. But since we're extending the ColorAttribute class, we also need to inform that class the accept those attributes. This is done on the next line (Mask = Mask | DiffuseU | DiffuseV). Finally we implement a constructor, so we can actually construct the newly created material attribute. That's better, we can now control our uniforms with custom material attributes. This will only return true if the material has both the DiffuseU attribute and the DiffuseV attribute. For now, we will not look further into that, but keep in mind that material attributes can be combined for faster comparison.